הופך כל טלפון למכונת לידים! SALE-PHONE as its name implies, an integrated telephone central call center dedicated to sales management and customer service. Telephone exchange manages perfectly all leads (leads) phone and keep track of them. Today no lead is lost! Although a deal is not to be missed! Just as marketing programs mark @ beat CRM has changed forever the way we manage our sales force, new telephone exchange SALEPHONE change the way we manage all our telephone communications and especially the way we perceive and manage leads. The new telephone central SALEPHONE replaces all the old telephone exchange company. 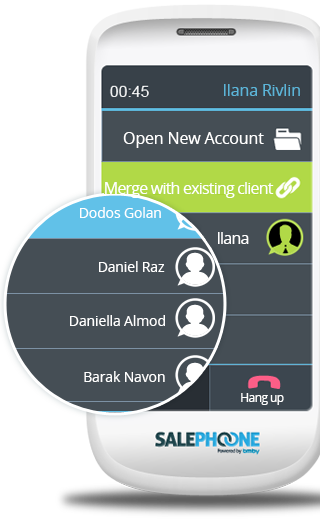 VoIP PBX is a modern web with built-in call center, a stunning user interface and convenient, with an unlimited number of positions, including a dedicated CRM system to manage sales! Through a central telephone SALEPHONE sales manager salesman all his telephone leads. The exchange registers the incoming leads, record calls, identifies existing customers and automatically opens a new client portfolio. Central Phone sales SALEPHONE is a powerful tool for executives careful monitoring after treatment of multiskill agent sales and incoming customers. Central Telephone SALEPHONE – make every phone lead lamp! Advanced mobile applications that allows all the benefits of a PBX phones – mobile, too, and allows management, control and supervision of the sales team, agents and multiskill agent – also in the field (including indicator location making calls)! You manager, just like you see in advanced societies, we have developed a software call center (as an integral part of telephone exchange) that allows to manage and improve the treatment of bleeds telephone received, you can easily see those calls went unanswered, what is the average time to answer, duration of calls, who is available distribution of calls and reports Statistiim OnLine! Mallard phone allows the identification and documentation of the number from which Call (existing customer / new customer), when it comes to the number that does not exist in the system – automatic delivery of an SMS with the form filling integral – so the salesperson / customer service has been getting full details of the caller – even if not a client file system faun! Now everything is more simple, the phone rings, a telephone switch recognizes Is it an existing customer, putting his card immediately if a new client system allows for direct opening of a new interest portfolio and records the conversation inside and allows follow-up easy. Although next is not lost! All calls are automatically documented customer portfolio, anytime you hear the call and see how you can improve the quality of service and selling, today you will not need more “mystery shopper”, you get the control Haoltimitibit! All incoming allows to identify what the source of arrival (media) is reached – we allow you to constantly monitoring the effectiveness of an advertising campaign and a real-time optimization to maximize marketing dollars. Conference calls between each system sent directly from Yes! Even if you are in another city or another country telephone switchboard allows you to call any phone and free phone. We will be happy to help you with marketing messages recording and displaying promotional information products, both open conversation, and music gift and routing between offices. Your phone today is also a salesman! Voice mailboxes leave messages every phone extension in the organization, including customer file documentation system message faun and send email or mobile notification of the appropriate sales person. Option to automatically redirect unanswered calls to the desired extension, other extensions (mobile or stationary). 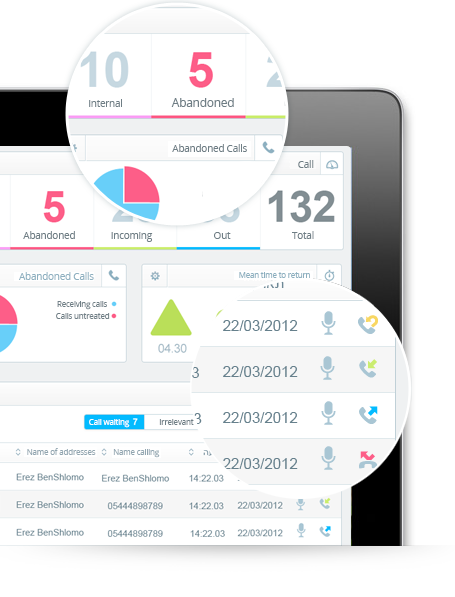 Smart mechanism automatically returns any missed calls by pressing a button in the order (No reply moves to the next and come back later to those who achieved), with full documentation of the treatment of applicants. Reception / and send faxes from the system – directly by email and / or customer portfolio in the faun. About options the command and control system SALEPHONE produces an average saving of 30% of the organization’s telephony costs!